The federal government began 2019 by taking a bigger bite out of workers’ paycheques, with the combined employer and employee CPP payroll tax rising from 9.9 percent of earnings to 10.2 percent, the first of five annual payroll tax hikes. By the time the CPP tax hike is fully phased in, a worker earning $60,000 will pay $380 more in taxes each year, and their employers will also be paying $380 more. The federal payroll tax hike only makes things worse, and is exacerbated by other tax hikes – including carbon and fuel tax increases, and income tax hikes in the form of bracket creep in Nova Scotia and Prince Edward Island where income tax brackets are not indexed to consumer price inflation. Those who support the CPP expansion claim that it helps workers save for retirement, but this is false. The CPP is not a retirement savings account, and a worker who pays into the CPP is not saving for his or her retirement. 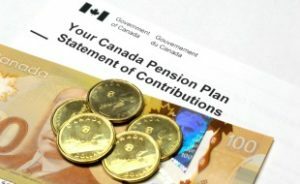 The CPP is simply a transfer of income from workers to people who are currently retired, because payments made by workers today are used to finance benefits to retirees.